Wow, it's expensive. If we seen the price that ranges from US. $40,000 or approx Rp. 547.33 million. But in the case of powered exoskeletons, the price is fairly cheap, at least half the price of similar devices. However, that's roughly the price of suitX Phoenix Exoskeleton should sell for. Phoenix exoskeleton weighs about 12.25 kg (27 lbs) and became one of the lightest models ever made. And like the other exoskeleton, Phoenix has a shape with a kind of motorized lower body brace. With the help of crutches, allowing disabled users to walk, by moving and bending their legs for them. This exoskeleton is made with based on technology developed by a team from the University of California at Berkeley's Human Engineering Lab. Spun off from that group, suitX (aka US Bionics) led by Dr. Homayoon Kazerooni who previously founded the Ekso Bionics. The key to price and low weight, it seems, is minimalist. "In lieu of complicated hardware, suitX use the wealth of state-of-the-art embedded intelligence and minimal design to make exoskeletons accessible, simple to manufacture, and lower costs," states suitX. 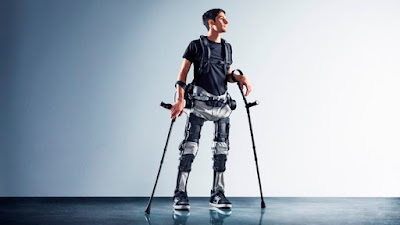 Phoenix exoskeleton consists of the hip module, two knee modules, which can be used by clients independently or joined together to form a complete system. This not only cuts down on unnecessary weight and bulk, but also allows the battery life longer. 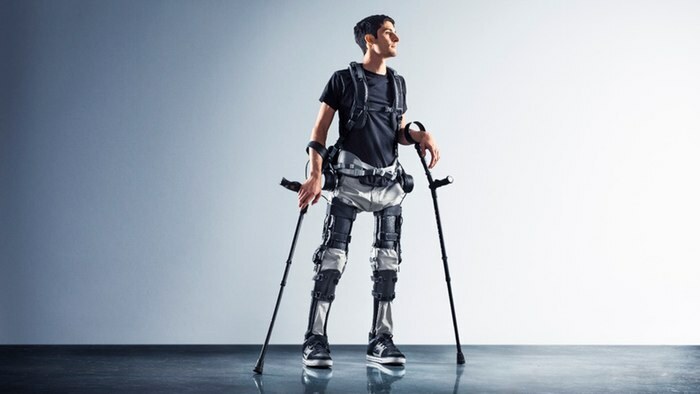 In its fully-assembled setup, the exoskeleton can be used to walk for four hours on a single charge, or eight hours of intermittent use. This exoskeleton has a maximum walking speed of 1.1 mph (0.5 m/sec). Gait parameters can be set by a trained clinician, using an Android app. The device can be seen in use, in the following video.